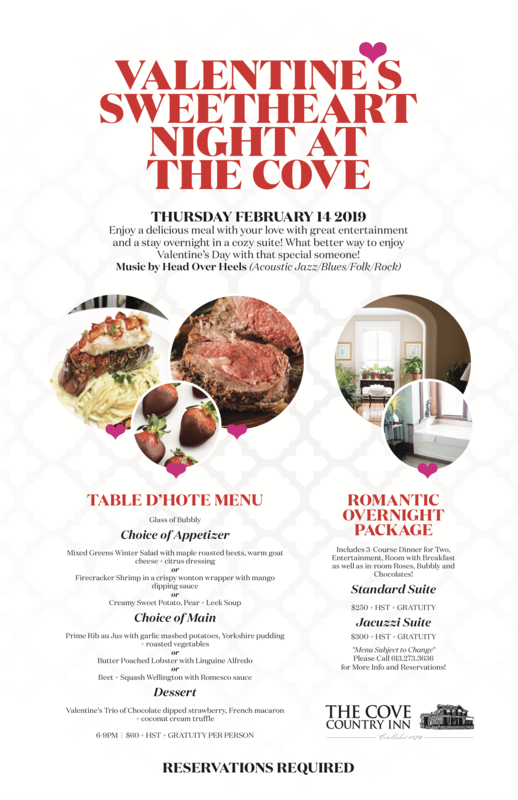 Enjoy a delicious meal with your love with great entertainment and a stay overnight in a cozy suite! What better way to enjoy Valentine’s Day! Includes 3-Course Dinner for Two, Entertainment, Room with Breakfast as well as in-room Roses, Bubbly and Chocolates! Please Call 613.273.3636 for More Info and Reservations!